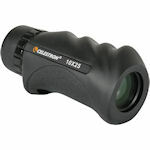 Celestron monoculars include the Brass Spyglass, the 6x30 Outland, the 8x42 Oceana and the 10x25 UpClose G2 roof monocular. The Outland is multi-coated for enhanced resolution, and fully waterproof. 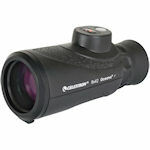 The Oceana is designed for marine use and includes a built-in range-finding reticle. 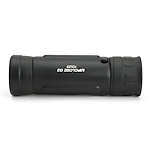 The UpClose G2 is ultra-light and compact, but still deliver performance optically.